Shadow Sign - Doncaster was conceived by Jennie Pedley with Deaf actress, Jean St Clair. They ran British Sign Language (BSL) shadow theatre workshops, which Jennie filmed and edited. The resulting film shows a series of stories told using the more visual aspects of BSL, devised and peformed by Deaf people in Doncaster. The project was hosted and exhibited at The Point Gallery by darts (Doncaster community arts). 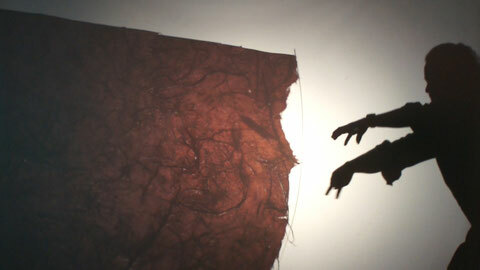 A giant projection of the film was installed alongside interactive BSL art activities. Performers included students from Doncaster School for the Deaf, Doncaster Communication Specialist College and Doncaster Deaf Leisure Club. The work built on workshops carried out at Blanche Neville School for Deaf children in London in 2014.